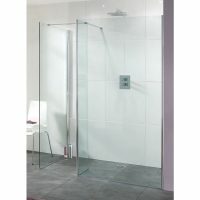 With a choice of sizes from 1000mm to 1700mm you have the freedom to create the perfect showering area for your bathroom. 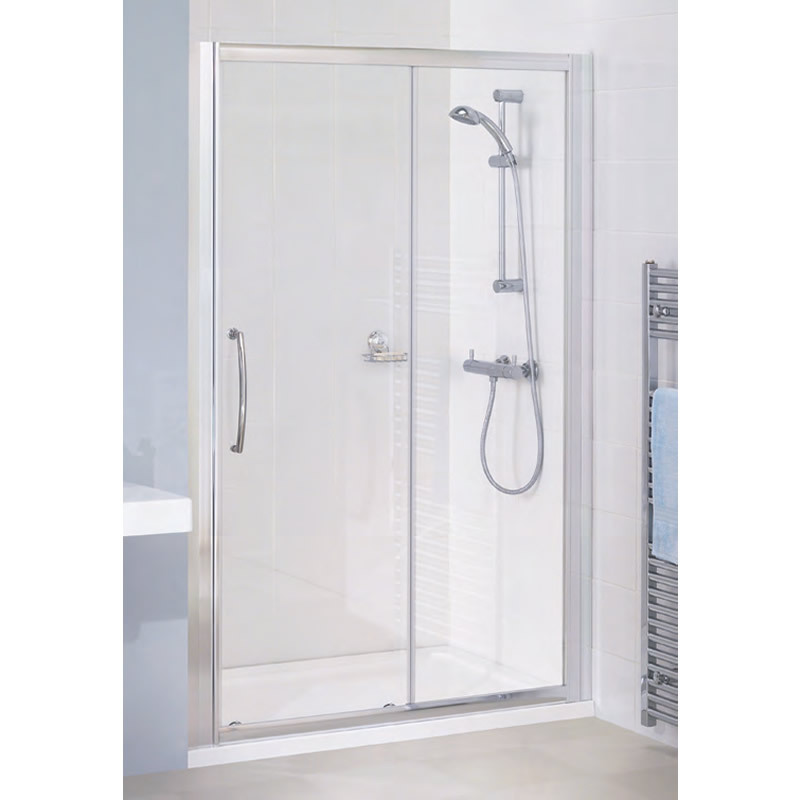 Create the perfect showering area with the Slider Door. This semi-frameless door can be paired with a framed side panel to design the ultimate shower enclosure. The sleek and elegant looks of this unit will certainly transform any bathroom into something chic and modern. 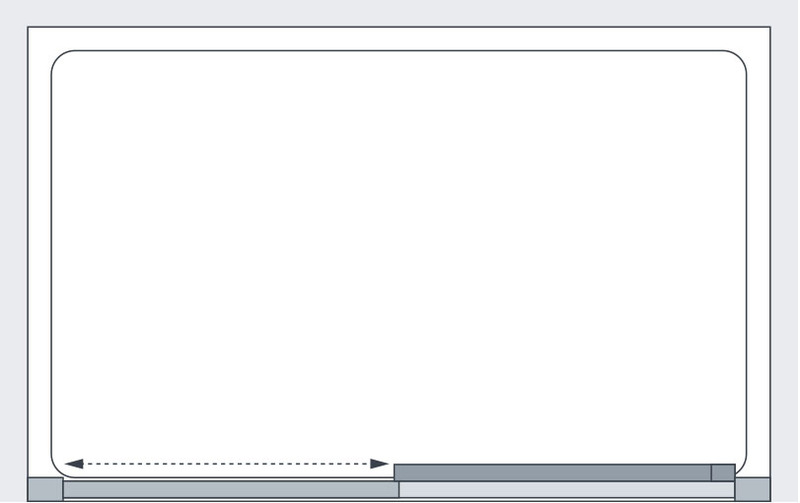 The Slider Door comes in size options of 1000mm, 1100mm, 1200mm, 1400mm, 1500mm, 1600mm and 1700mm. Framed side panels for this door are available in sizes of 700mm, 800mm, 900mm and 1000mm. 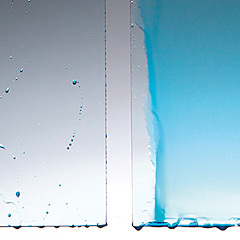 By pairing the slider door with a side panel, different types of shower enclosures can be created. 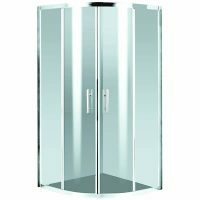 Corner shower enclosures, flat wall shower enclosures, recess shower enclosures and alcove shower enclosures can all be created with the slider door. A superior product offered by Lakes Bathrooms, the Slider Door features high grade 6mm safety glass with an AllClear coating. As such, keeping the slider door clean is easy as pie. The slider door is fully reversible and designed for easy fit. Lakes Bathrooms backs this product with an impressive lifetime guarantee. 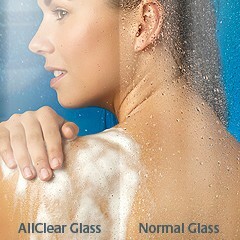 So get rid of your old shower curtains and redesign your shower enclosure with the Slider Door. Buy this product at the lowest price online – only from Ross’s Discount Home Centre!